Design Suites Hotel Buenos Aires is located in front of one of the most beautiful squares of Buenos Aires in the Recoleta District. The hotel is within walking distance of Santa Fe and Callao, one of the most lively corners of the city. Its 58 rooms are decorated in a contemporary style with wooden floors and chrome furniture. Every detail offers the best comfort and pleasure to its guests, including kitchenettes with espresso coffee makers. Wonderful Argentine and South American dishes are offered in the welcoming atmosphere of the in-house restaurant. One can also relax at the swimming pool or at the gymnasium, which are an oasis for those in search of tranquility and relaxation. The hotel is close to the most important attractions that Buenos Aires has to offer, from museums and historic buildings, to picturesque cafes, discos and the most popular theaters. The Obelisco is within walking distance of the hotel. 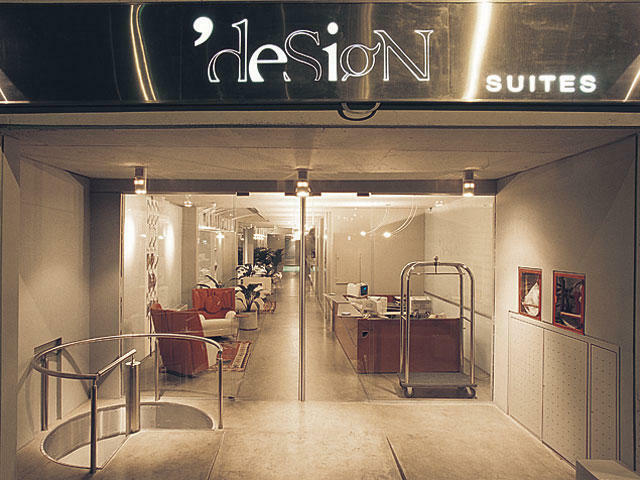 Design Suites Hotel is the perfect starting point from which to discover Buenos Aires. Hotel services and amenities include: Air-conditioning, baggage hold, full breakfast, elevators, currency exchange services, free Wi-Fi area, 24 hour front desk, laundry and safe-deposit box.